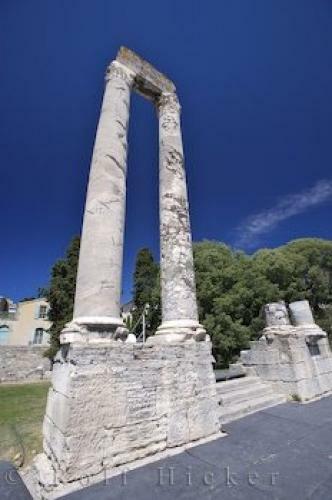 The site of the ancient Roman Theatre in the city of Arles, Provence, France is now used during summer festivals. Remains of columns and pillars in the Theatre Antique in the city of Arles, Bouches du Rhone, Provence, France, Europe. Roman Theatre Antique in Arles, France.